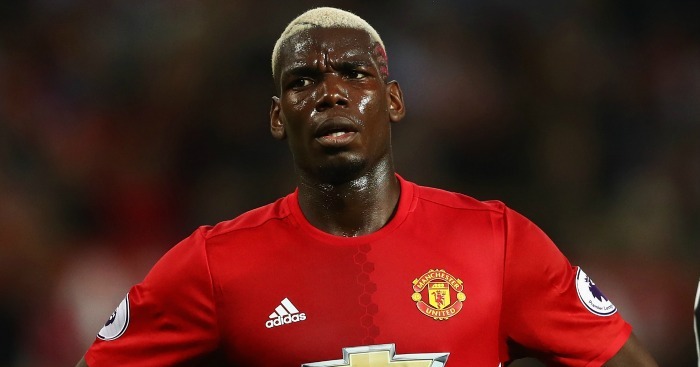 French forward Paul Pogba declined to move of Juventus from Manchester United. The midfielder said that the possibility of returning to Juventus from Manchester United was a matter of fact. Jose Marino was placed Pagba on the bench in the match against Sevier, the best sixteen in the Champions League. Since then, he has had a break the relation with the United Coach. In the beginning of June this year, Juventus forward Paolo Di Bala Pogner indicated the possibility of returning to Juventus. But the midfielder flash out the matter. He told that it is not true and he have no intention to leave the club right now. He is very happy with the side. Before Neymar he was the most expensive footballer in the world. And the club which bought him a rich amount none other than Man United and they pay him a good salary. So there has no possibility to leave the side right now. France beat Russia by 2-1 in the final on Saturday. Pogba scored the last goal of 1998 world champions. Then he threw rumors about the change. He made clear that he is now with the France team and he will not talk about the future of the club and these things. The midfielder also disclosed the matter of Di Bala. He agreed to talk to Di Bala, but he talk to Samuel Utthita that means he don’t join Barcelona. Pogba told that he talk to many other club footballer whom he has good relation ​​that does not mean he wants to go there and play. The guy is very busy with the national team and why not as they playing world’s most biggest tournament. Pagba said the main goal was to get 3 points in the match against Australia. The United forwards forwarded to teammates to do better in the next matches. They have to fight Argentina in the second group of match. So challenge is so high as they going to face star Messi. He told that they knew the match would be difficult, as it was the match in the World Cup. They were positive and just thinking about getting three points. They have young and talented players in the side. Some have already played the World Cup, others did not play. So they need to learn. Australia is very strong in defense. They did not open the space for the game. Sometimes they win this way. So they do not have to be so difficult on ourselves. They need to be better and they will be.